Canteen, classes and a whole lot of bunking - as we step into our college life, we’re officially adults. 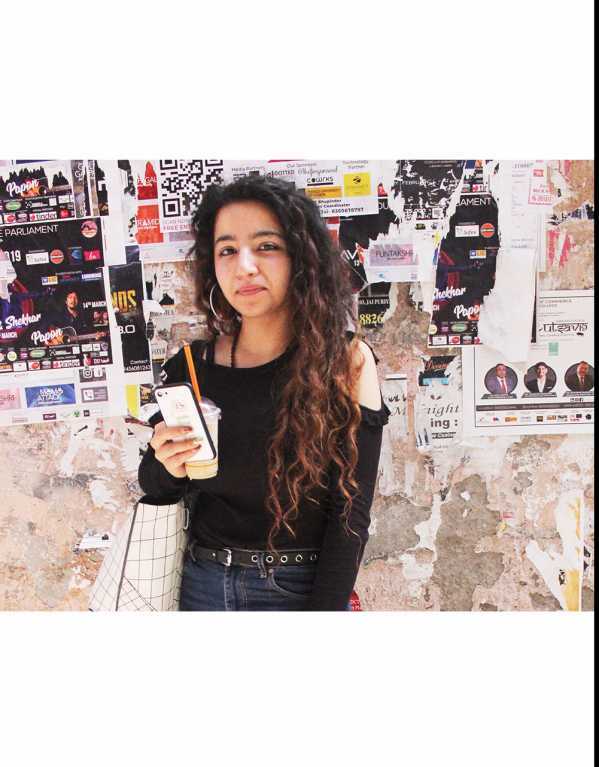 We let the teenager in us go and step up, to being more independent. And the best thing about the school phase ending is the end of wearing uniform. With the hard fought reputation of being the laziest dressers on the planet, the students also have to live up to dressing chic yet functional, to slip in a quick canteen gossip session after those never ending lectures. 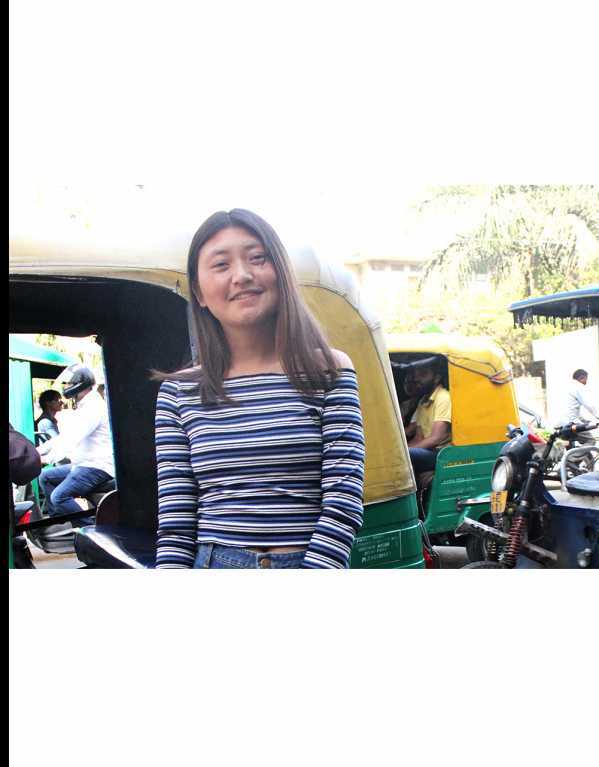 In between flip flops and boots, comfy jeans and girly dresses, the students take it up as an opportunity to express their individuality through fashion. 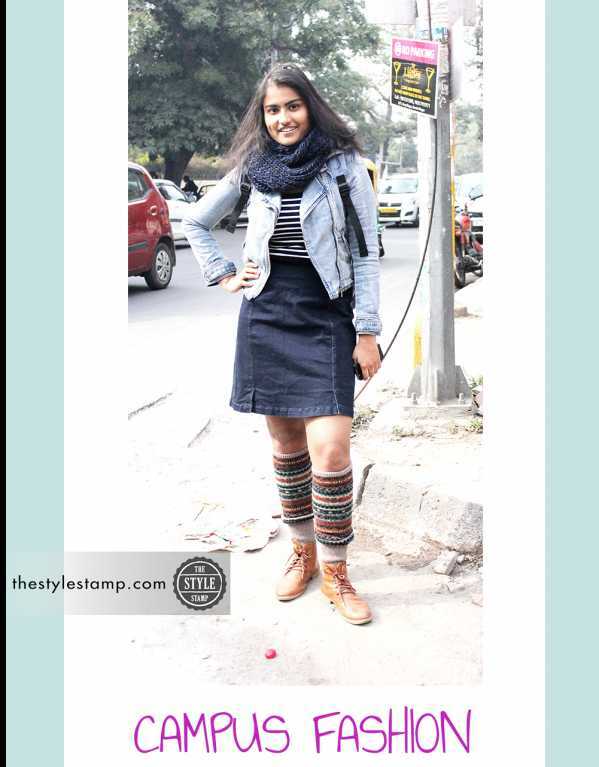 So, we hit the streets of Delhi university to seek out some sartorial inspiration for the hidden fashion obsessed teenager in us! 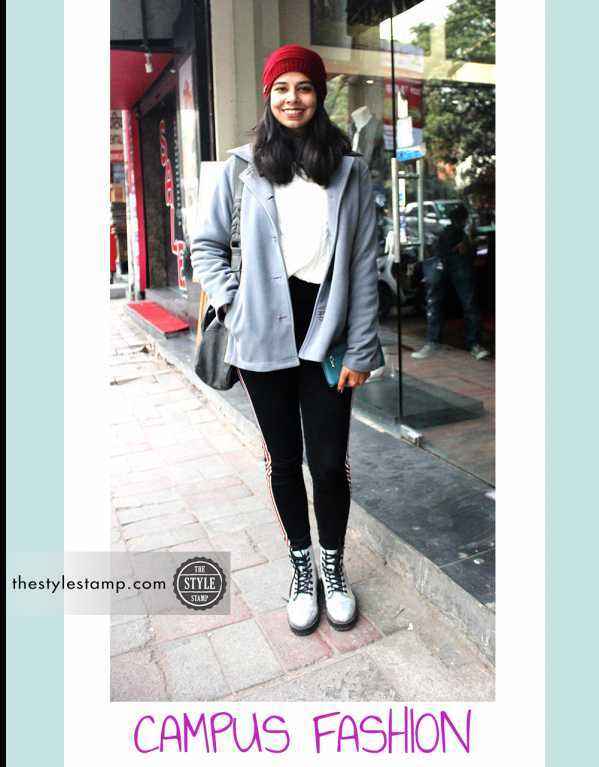 Harshita Jain agrees that bombers are all season love! A great layering essential through winters, that will never let you down. With muted tones of blue and black, she breaks her monotone look with a tan tote, to throw in all those necessities before heading out. 2. Uggs for those extra warm hugs! 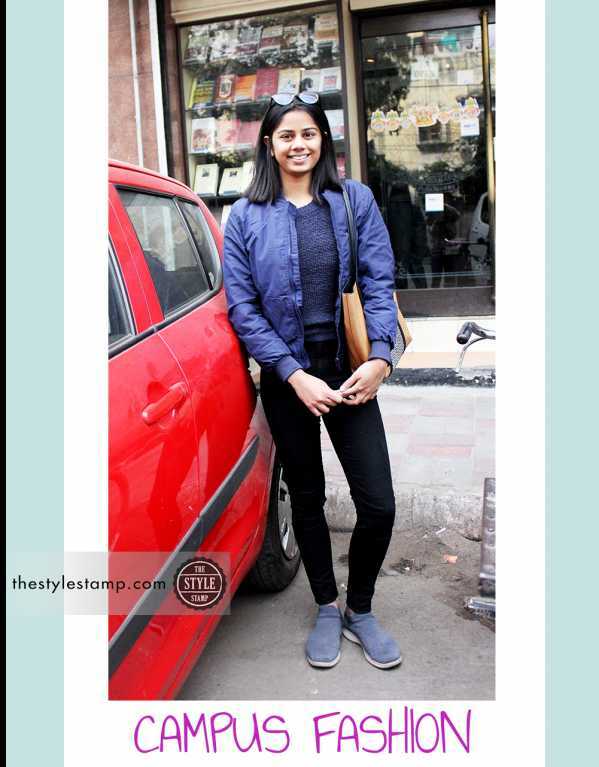 Trust a college student to make something as comfy as uggs look uber cool. 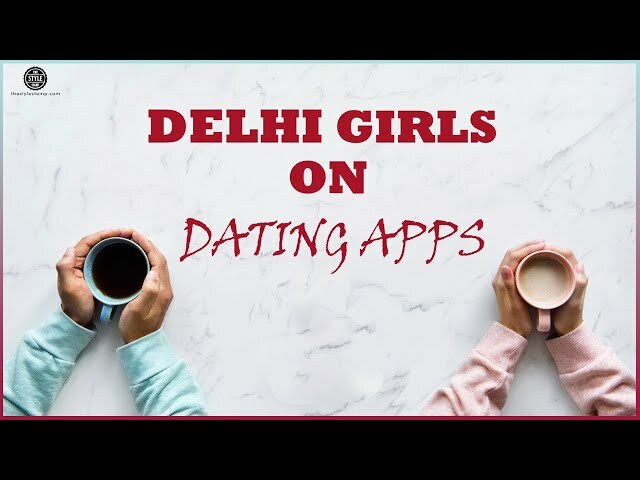 Sahej Kaur, a Khalsa College student, prefers them any day. 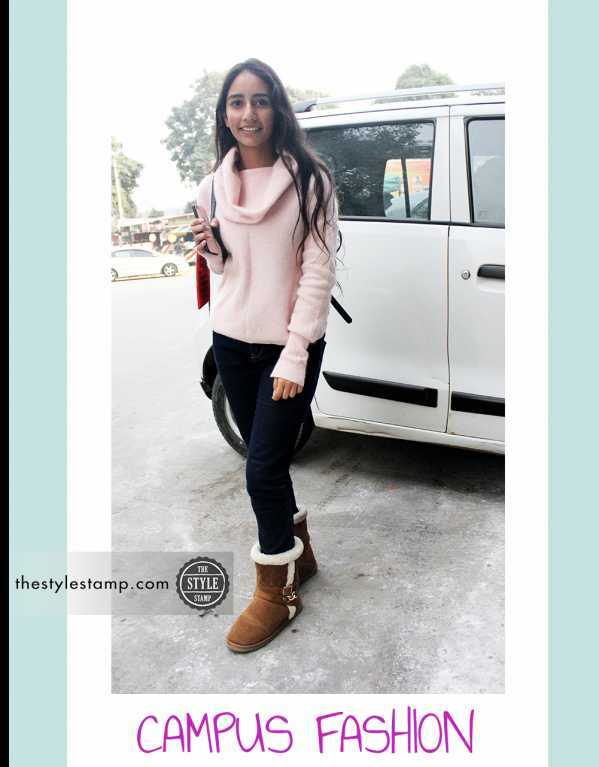 With a pale pink knit and basic jeans she is all set for those tiring long lectures! 3. Beanie for the win! 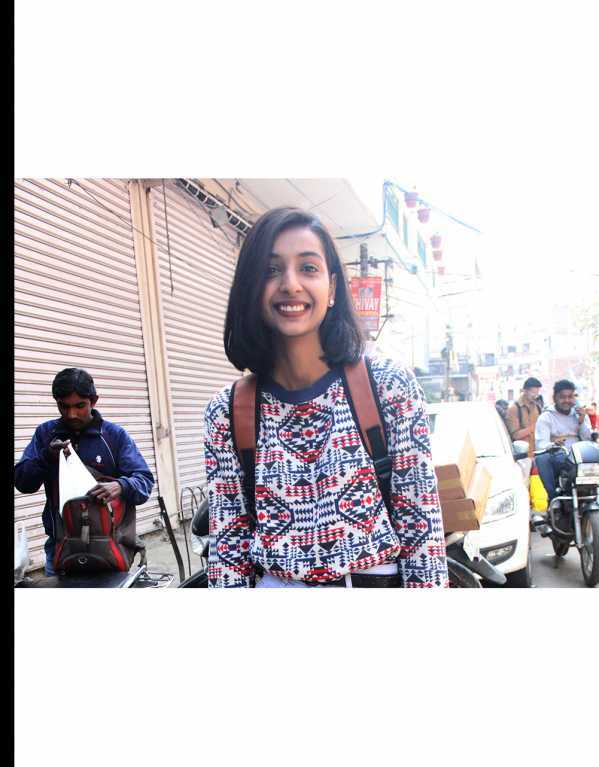 Akansha Dagar, a Literature student from Kirorimal College prefers keeping herself warm in the freezing Delhi cold. 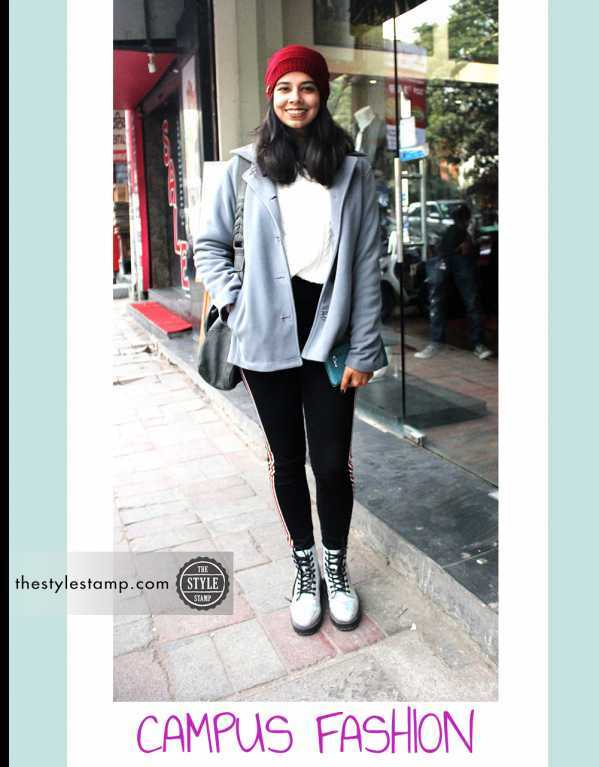 With combat boots, leggings and a grey cover up, we think that red beanie is what takes the look a notch higher! 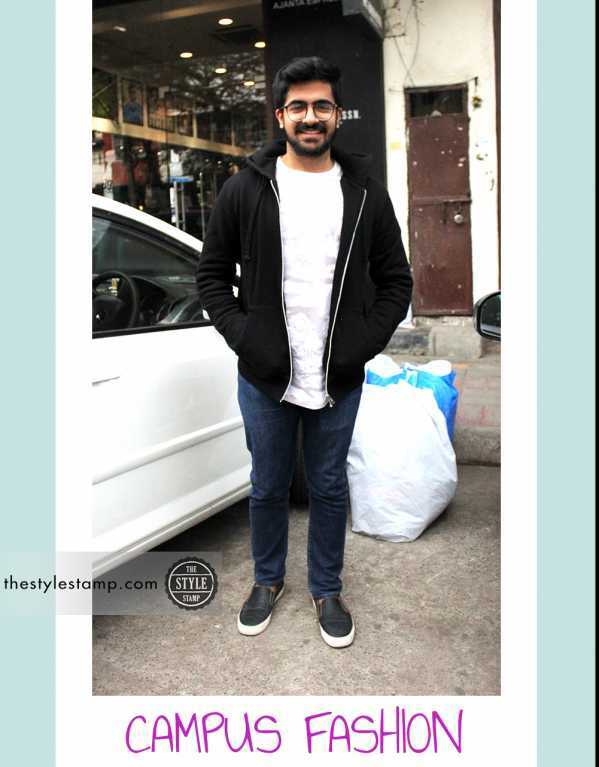 Keeping up with all weather ‘black’, Saran Chawla from Kirorimal College kept it elegant with black sneakers and sweatshirt, with a classic white shirt to go with it. Need we say, that’s exactly how you play with basics like its no big deal!